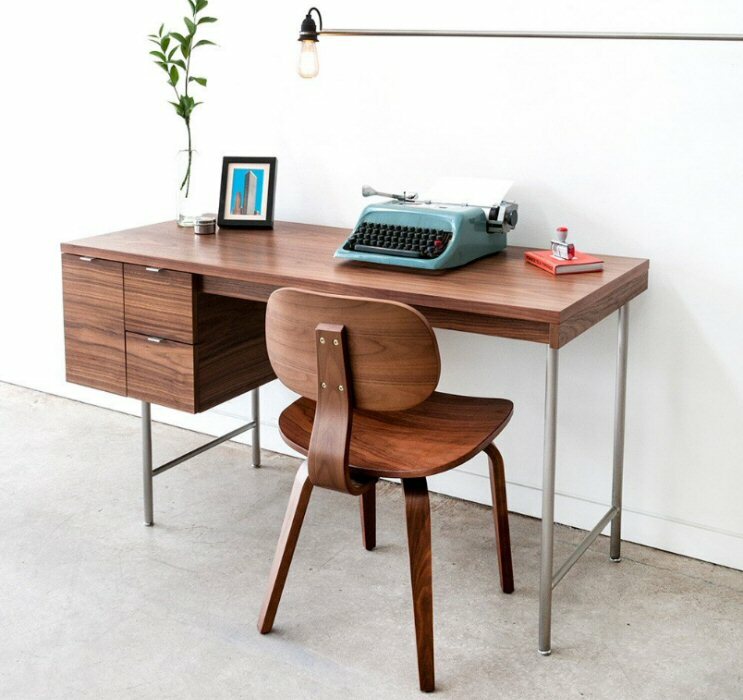 The Conrad Desk by Gus Modern is a compact home office desk with a strong Mid-Century pedigree. 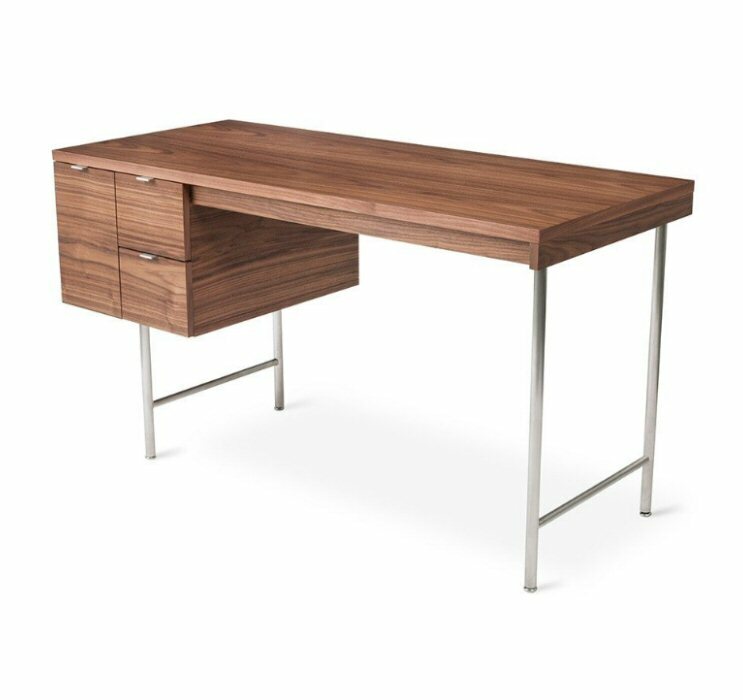 All surfaces are finished in walnut, to contrast the slender, tubular stainless steel legs and brushed aluminum drawer pulls. 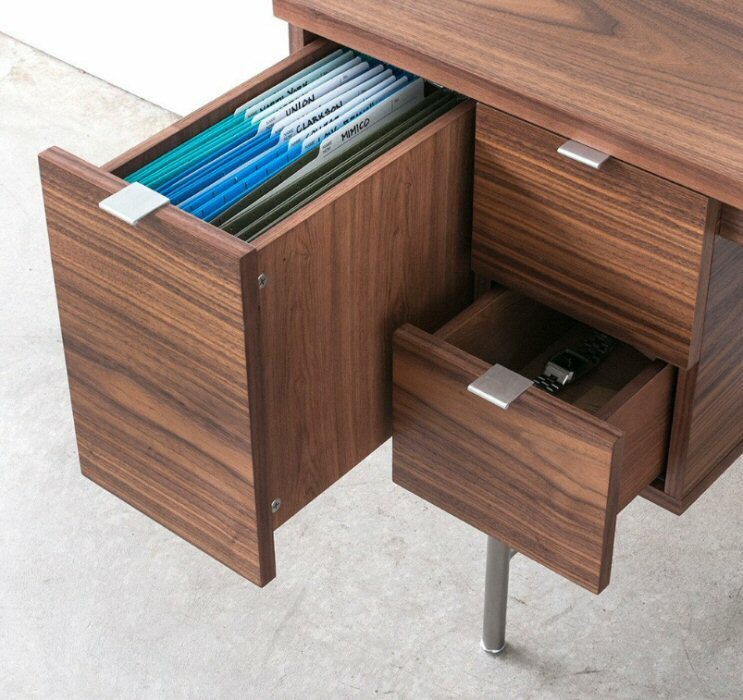 The main drawer is designed to hold hanging file folders, and the two smaller drawers are perfect for organizing stationary and supplies. 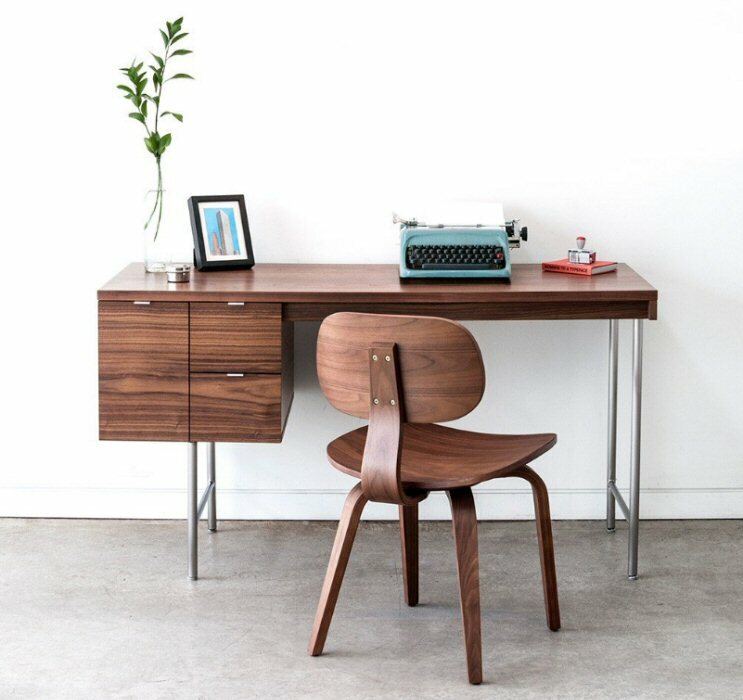 This desk evokes the style of 1950s Modernism, but with a scale and functionality suited perfectly for today.